Welcome to the Forester's house in Frauenstein! The old forester's lodge in Frauenstein with its areal of almost 2.75 acres is a short distance away from Frauenstein's market activities and invites you to linger. The rooms are individually arranged. In the spacious kitchen you can prepare a delicious meal. Old stories come true at the fireplace, and in the dining room you can produce house music on the piano after your heart's delight. The forester's lodge is designed for a total of 14 people. 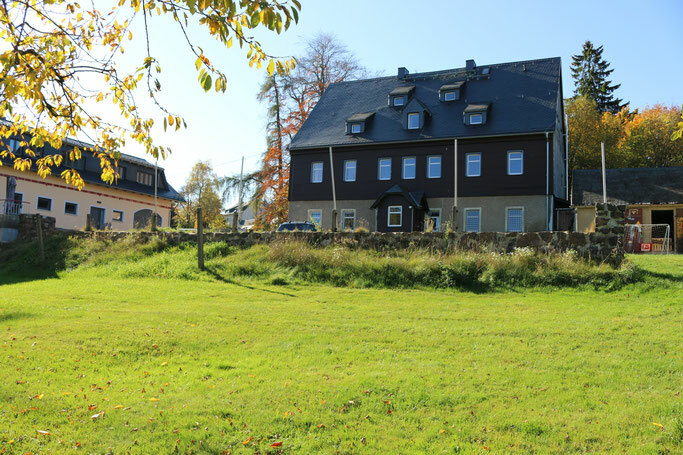 Whether holidays, seminars, courses or family celebrations - the Forsthaus in Frauenstein with its rural charm offers you an unforgettable stay with versatile uses in a beautiful, natural setting.